Upon entering our office, our receptionist will welcome you as a member of our healthcare family. We will request that you complete our new patient intake forms which provide us with a brief snapshot of your past health history and information about your current condition. If possible, you should bring along your extended healthcare information, BC Care card and any ICBC or Worksafe claim numbers you may have been assigned. 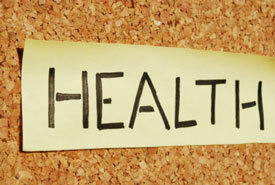 You will also be given the opportunity to sign up for our monthly health e-newsletter. Next, you will have a consultation with Dr. Sony Sandhu to discuss your health related concerns and treatment options. This initial visit is designed for Dr. Sandhu to learn more about you, your condition and your expectations to develop a chiropractic care plan to meet your goals. After your consultation, Dr. Sandhu will perform a complete chiropractic, orthopedic and neurological examination in order to arrive at a definitive diagnosis to focus your treatment to your specific needs. Once all your information is collected and examinations are performed Dr. Sandhu will give you a detailed report of all findings and answer any questions you may have such as how can you help me, how often do I need to come in and how much will this cost. After answering your questions and addressing any concerns you may have Dr. Sandhu will start your first treatment. This may include spinal adjustments, physical therapy, soft tissue therapy and stretching. Dr. Sandhu will suggest a treatment protocol and schedule to maximize the effectiveness of treatment in order to relieve you of pain as quickly as possible. Dr. Sandhu will also suggest post treatment protocols such as heat and ice, stretching, home exercises and supplementation. As a result of our patient centered approach, you may be given recommendations such as custom prescription foot orthotics or registered massage therapy based on your specific needs and goals.